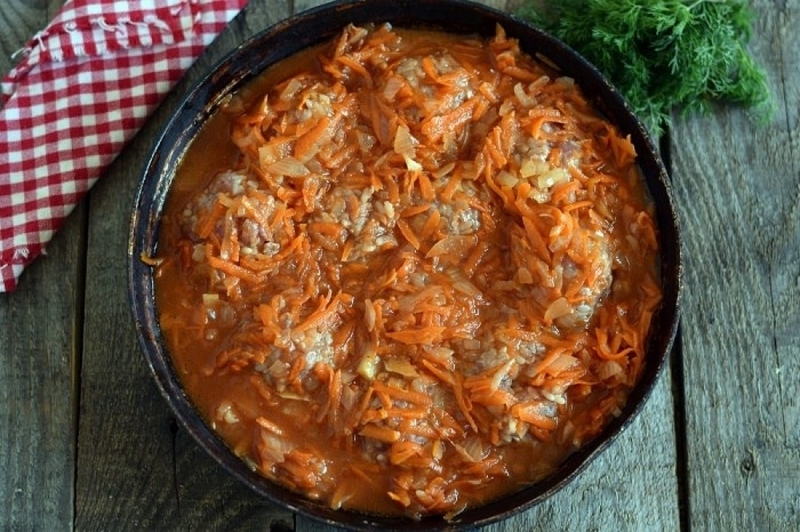 Today we will tell you how to cook tasty meatballs with rice. 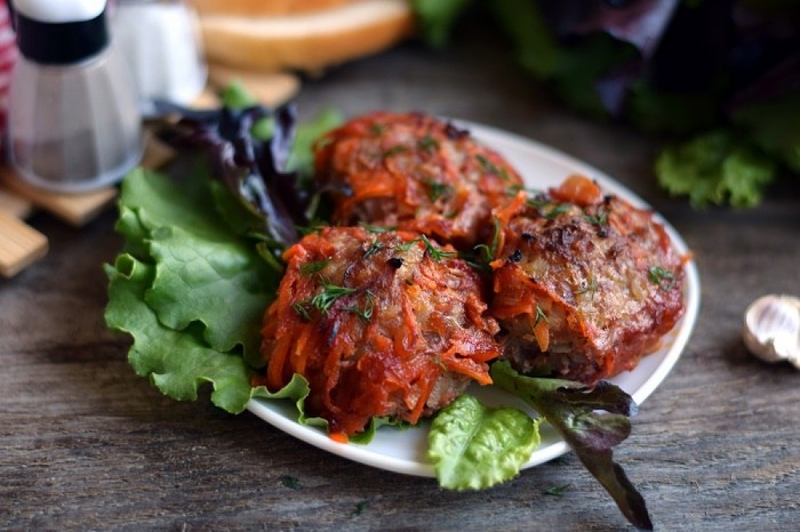 The meatballs are baked in the oven with tomato paste, onions and carrots, and this will definitely add tenderness and juiciness, and fill them with bright colors. Cold work pieces are placed in a heatproof bowl without preliminary roasting, so it will contain less oil, and therefore more good. 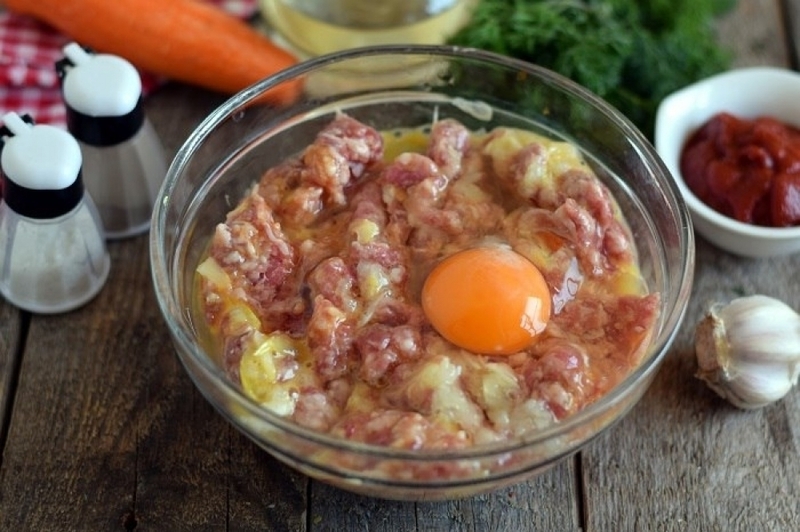 You can use any mince for this dish, for example pork, as in our case, mixed (the classic mixture of beef and pork), or even to create a version of the diet dish with chicken or turkey. 1. 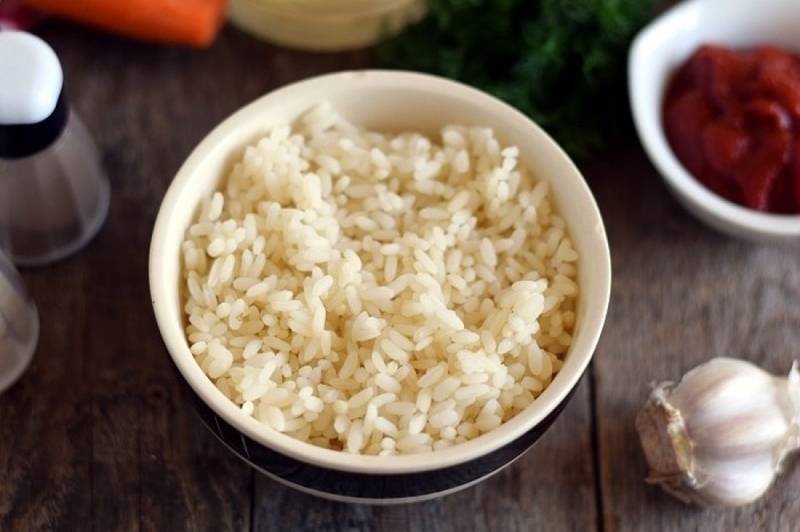 Pre-boil the rice until par-cooked, then rinse it and let it cool down. 2. 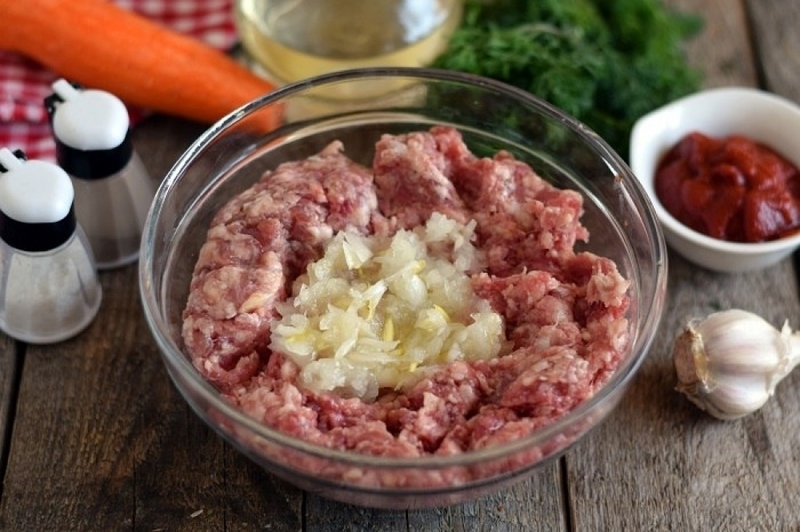 Load mince in a spacious bowl, to make it easier to mix. 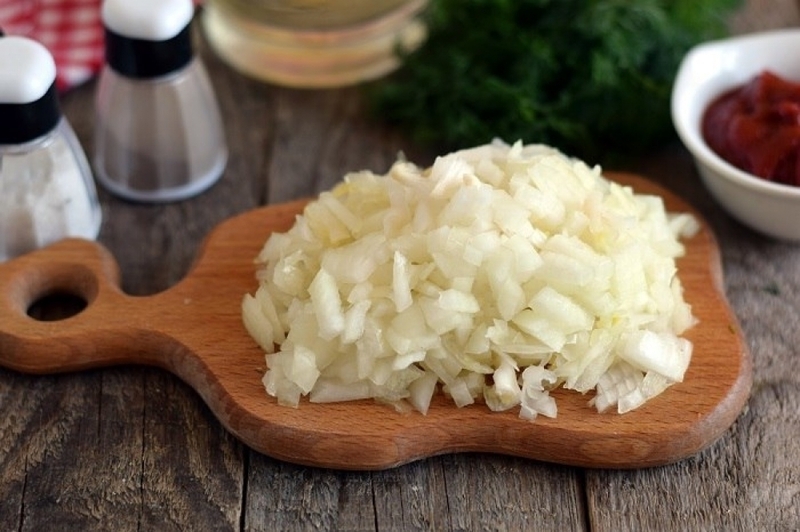 Clean one onion, turn it into onion mass using a blender, add to the minced meat. Put the second onion aside to create sauce. 3. Also beat one egg in the mince by hitting the equator of the shell, mix intensively for the egg to envelop the meat mixture. 4. Then combine mince with rice. 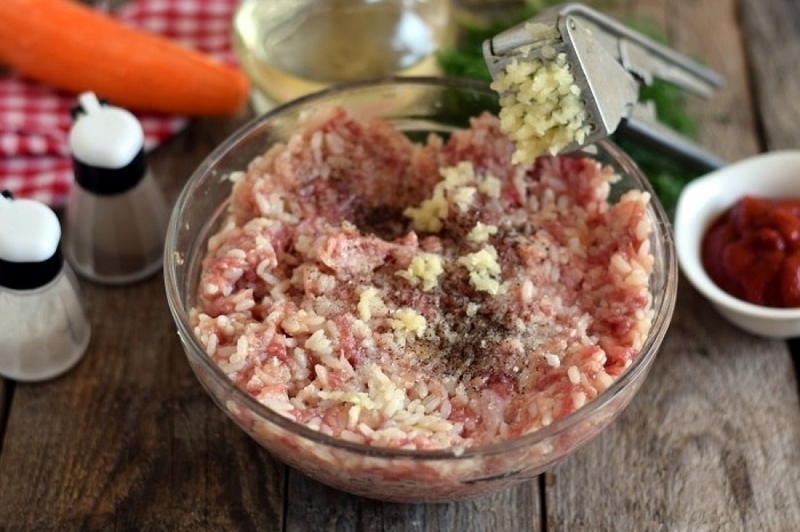 Remove the husk from cloves of garlic , grind it in a special press, add to the mass, then season with salt and black pepper, stir finally, making the mixture to be ready for the meatballs. 5. At the same time prepare tomato sauce with vegetables. Clean the second onion, chop into cubes. 6. 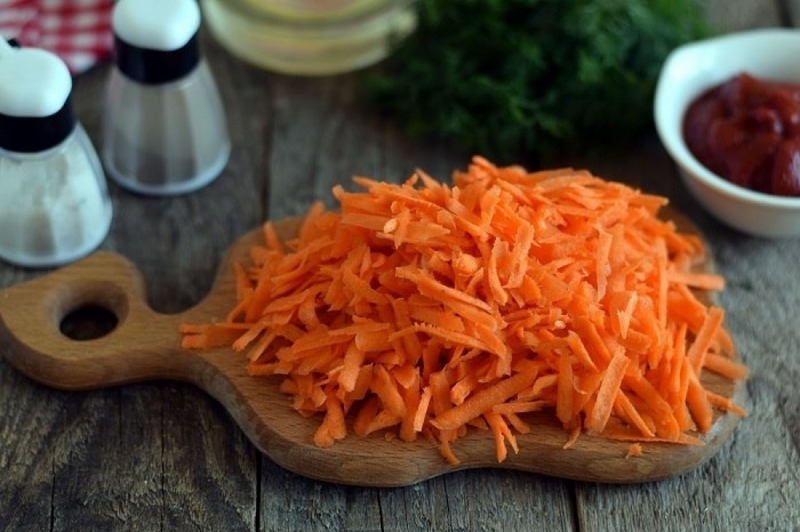 Free carrots from peel, chop them into large strips. 7. Load the vegetables on a heated pan pre pouring oil into it. 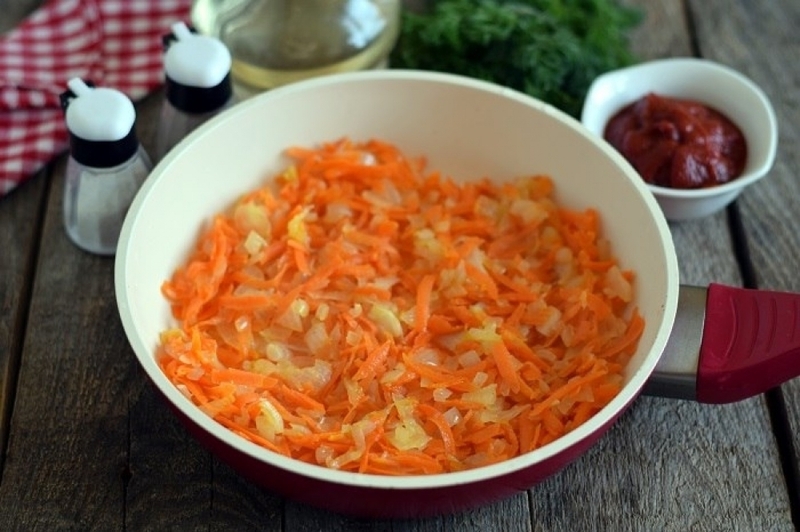 Sauté carrot and onion mix for 3 minutes, stir occasionally, not letting the mixture burn. 8. 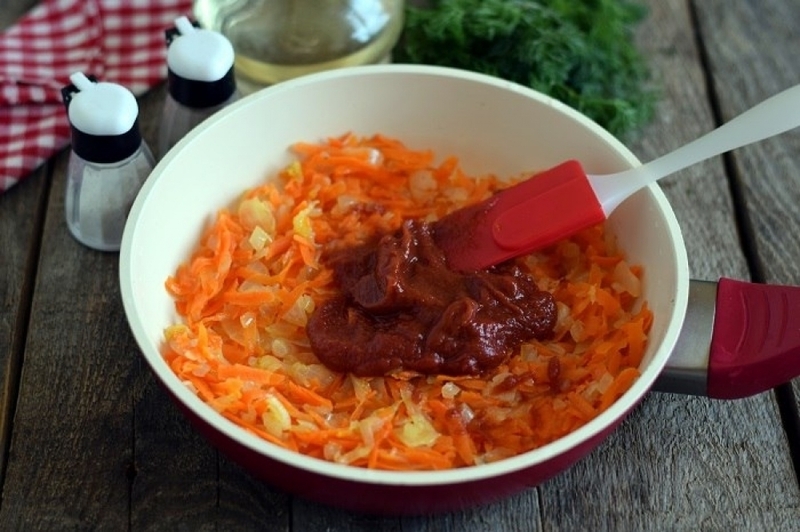 Then add tomato paste to the carrot-onion mass, pour water for a paste to dissolve quickly , simmer on high heat the following 3 minutes. 9. In parallel, form a mince round billets of the same size. 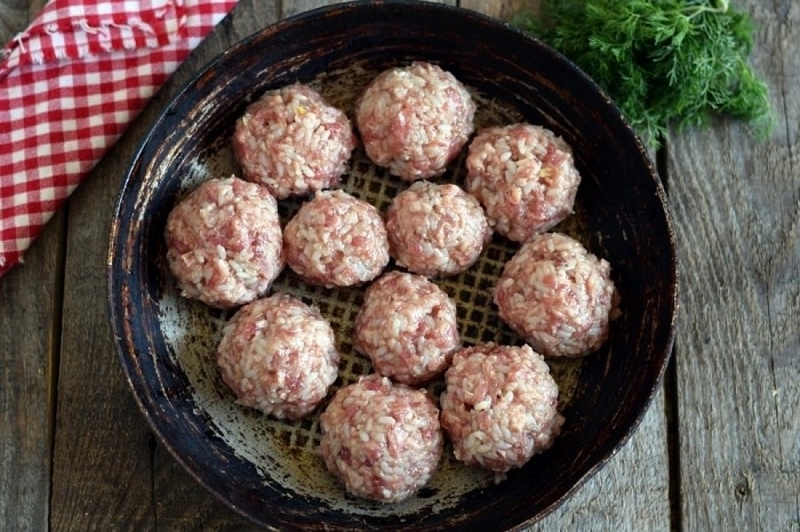 Lay the meatballs in a pan with a removable handle or in a heat resistant form. 10. Pour the created tomato-vegetable sauce on the top. Heat the oven up to 180 degrees, put the pan inside, which is better to close with foil in the first 30 minutes. The total time of cooking is 60 minutes. 15 minutes before the end of the process, remove the foil and the continue to cook the meatballs opened.